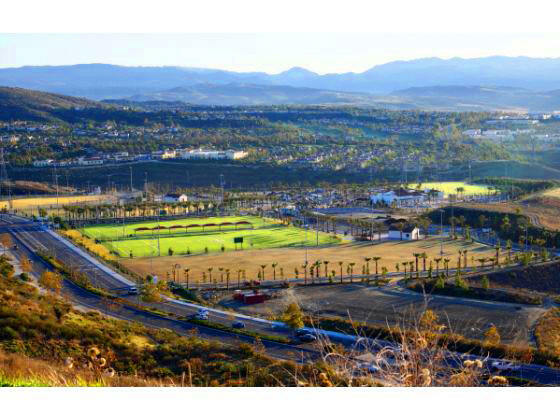 San Clemente Real Estate News: San Clemente Sports Park Named! Posted by Teresa Mihelic HelpDesk on Wednesday, January 4th, 2012 at 2:09pm. Great news for San Clemente residents! The new sports park that has been long awaited for, is scheduled to open this coming January 28th, and will be known as 'Vista Hermosa Sports Park'. Vista Hermosa Sports Park means "beautiful view" in Spanish, and it identifies the location of the park off Vista Hermosa and La Pata Avenue. Vista Hermosa has an exit of the 5 Freeway, which makes the park have an easy access to visitors and sports teams. Three baseball fields: with natural turf outfields, these fields will be fully lighted fields year round to maximize play and include a shade area and seating for 100 people. Four soccer fields: two regular soccer fields, two youth soccer fields and a practice area, with seating and concession stand. One football field: with bleachers and picnic tables. 9000 square foot bathhouse with concessions and storage. The picture to the right was taken from the San Clemente parks foundation website: http://www.sanclementeparksfoundation.org, where you can find more information about this park and how to donate. The Vista Hermosa Park is conveniently located next to the Talega Homes so, Talega residents of San Clemente are specially excited. To check out any San Clemente Homes currently available for sale, follow the link.